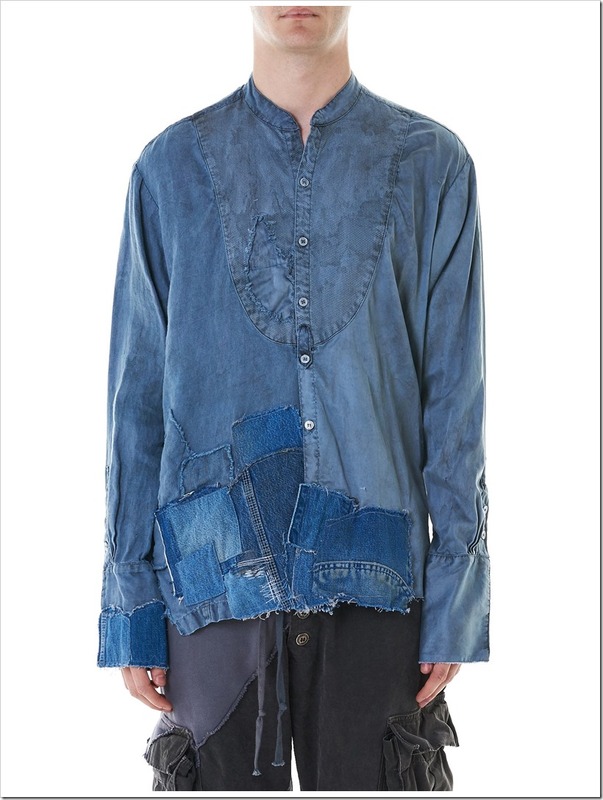 Greg Lauren has once again showcased his unique approach towards fashion and styling with the release of his SS’18 collection . 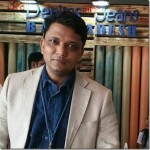 The collection brings to memory the Japanese brand FDMTL which uses boro fabric to create beautiful designs . 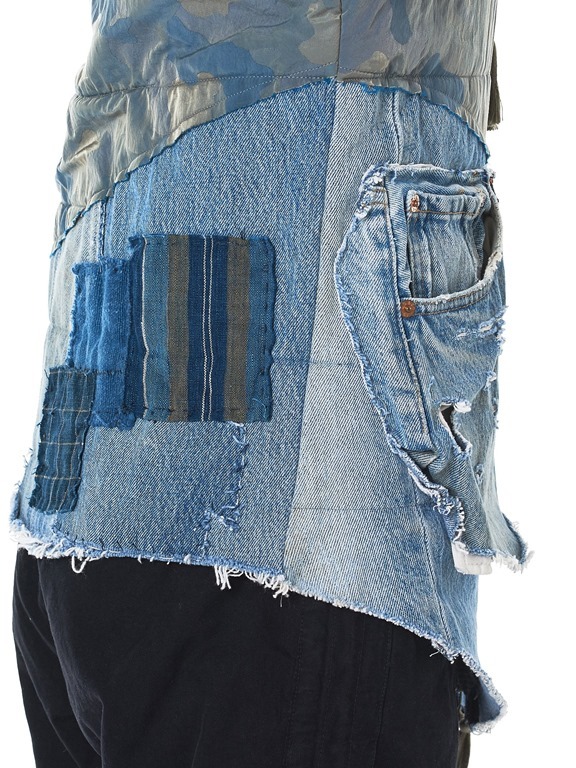 However, Greg’s idea of creation is very different from what FDMTL does . 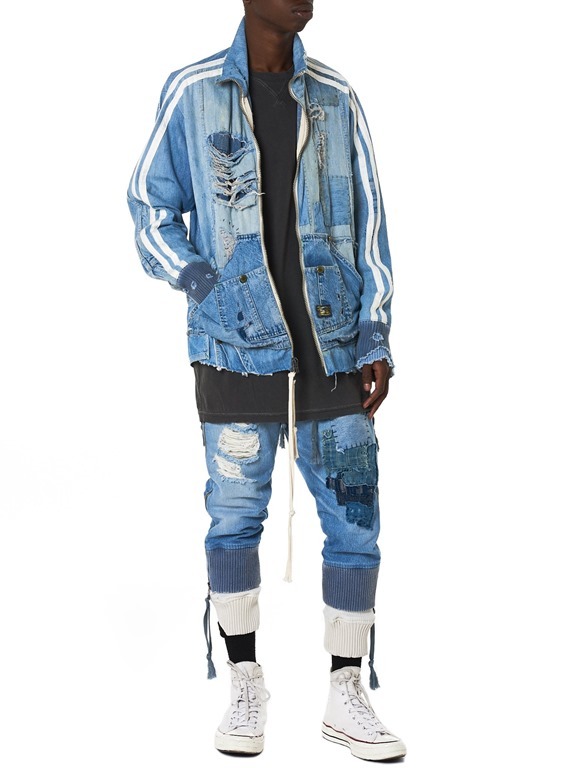 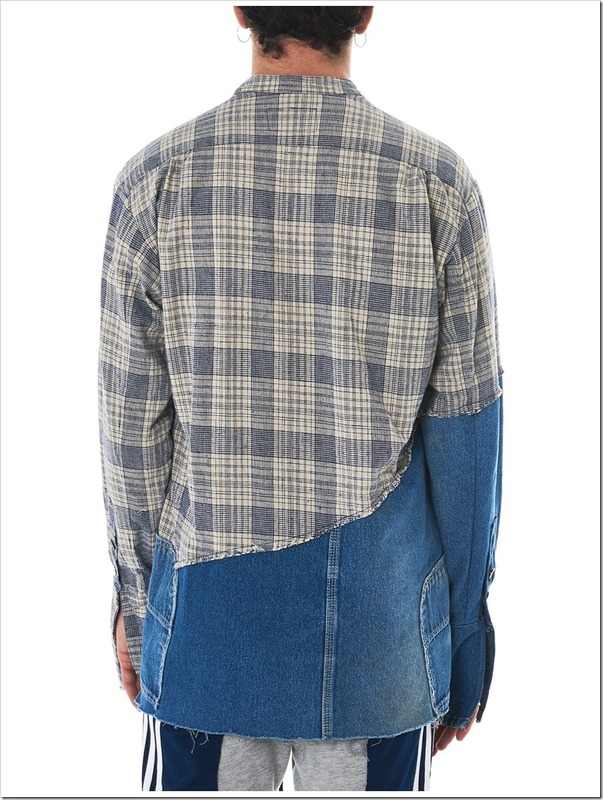 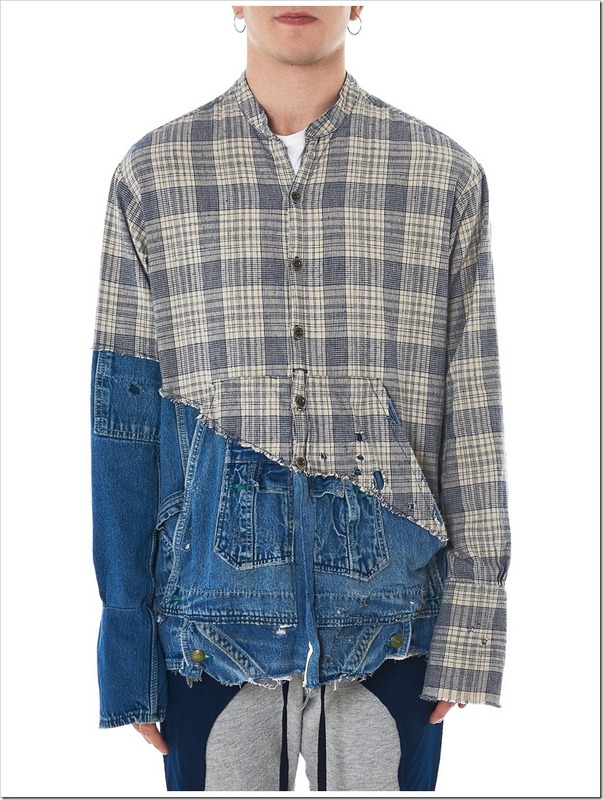 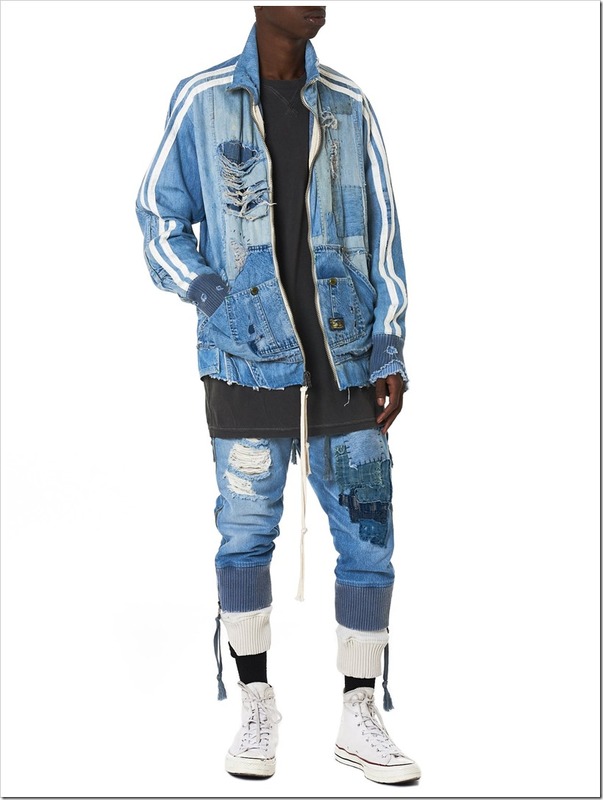 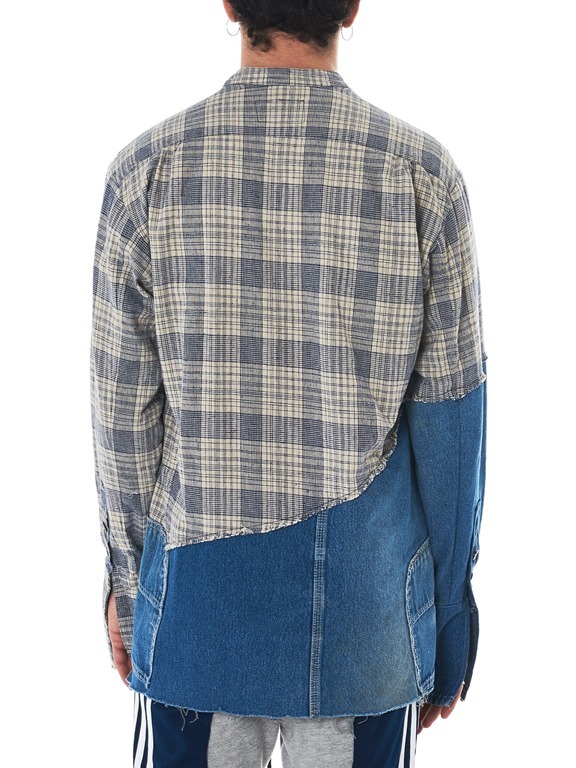 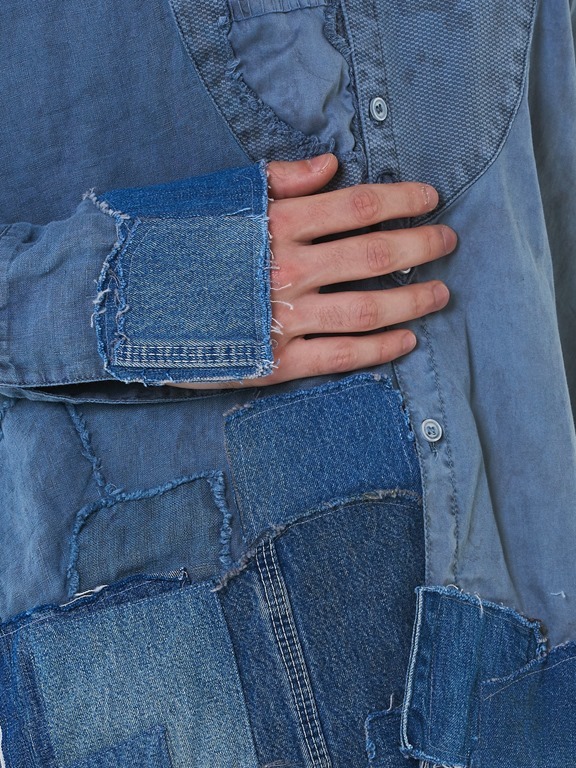 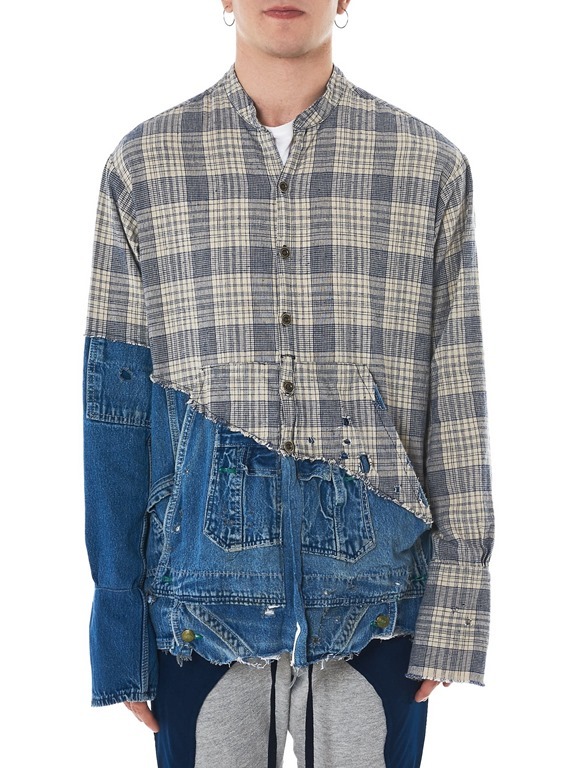 Greg’s collection offers a blend of contrasting colors and fabrics to create designs such as the 1990s-style denim/plaid shirt and patchwork pants to the forefront of the drop. 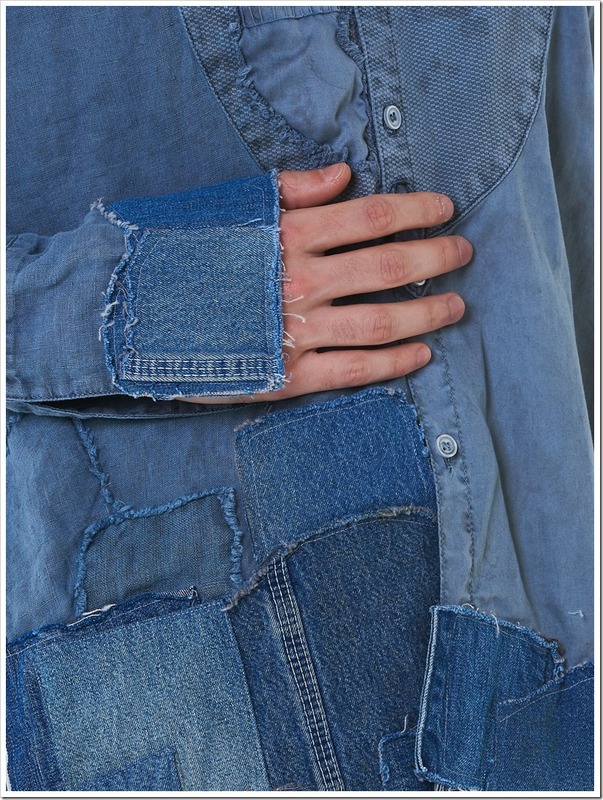 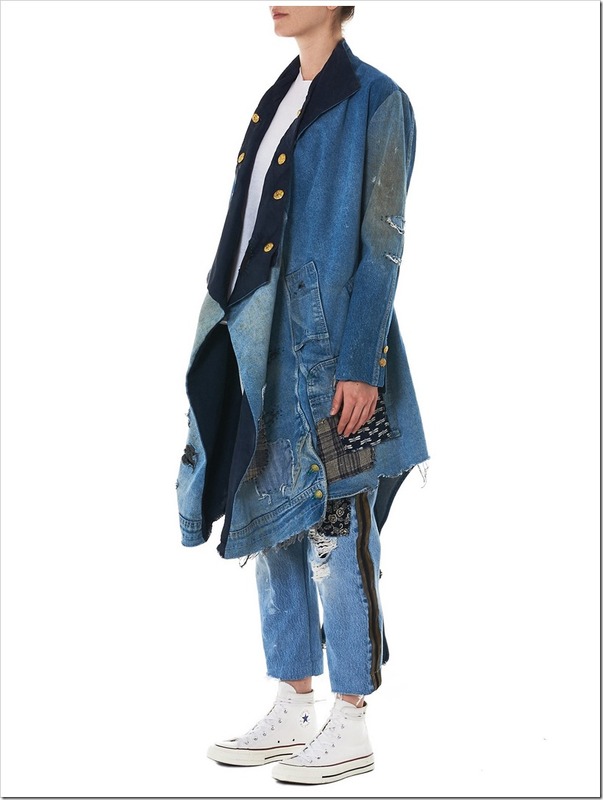 The entire collection is demonstration of denim patchwork , fabric combinations on different pieces and looks perfect for street styling. 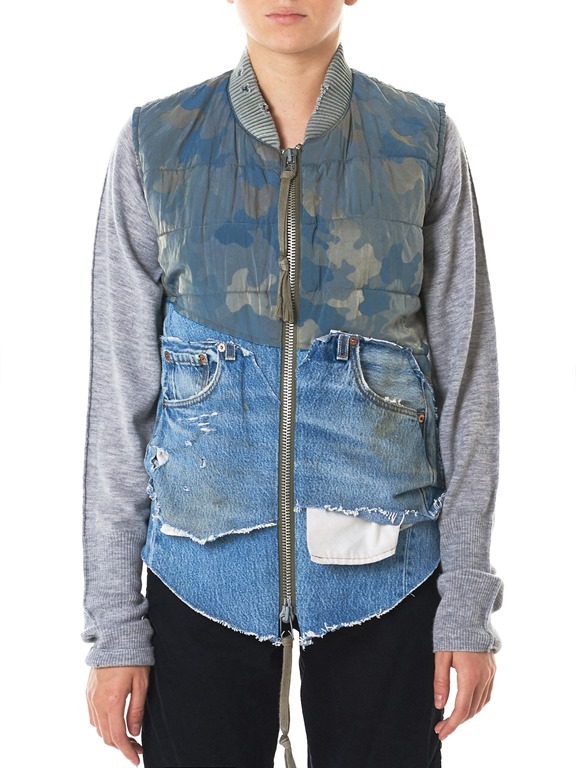 Greg Lauren flight vest featuring a 50/50 quilted camouflage nylon upper panelling cut, vintage denim lower panel, two-way zip closure, three-pocket construction, scalloped hem, and tonal stitching. 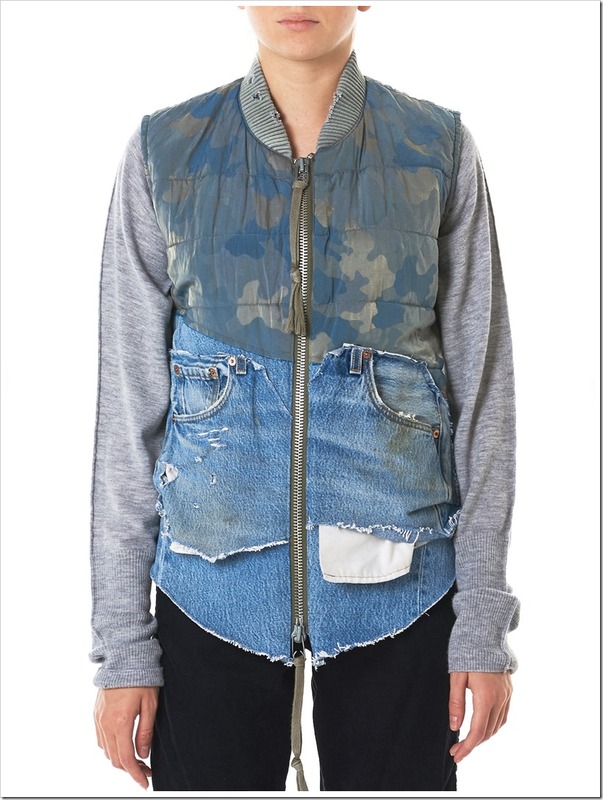 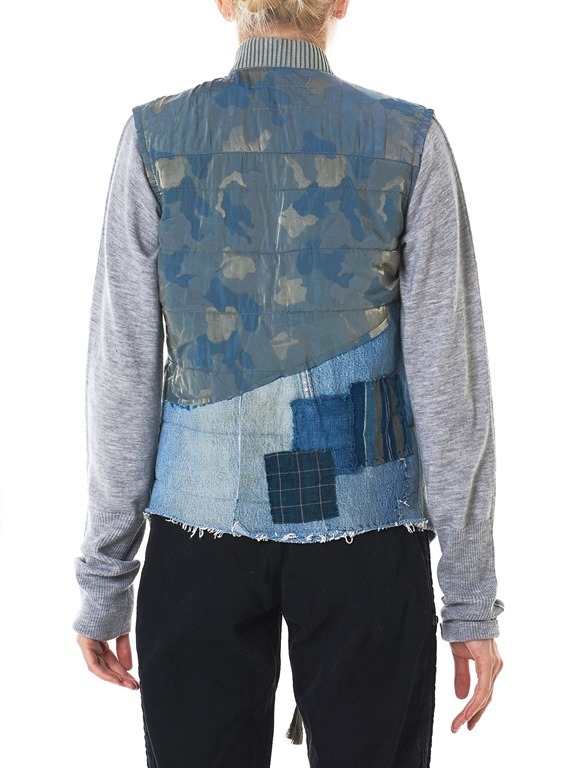 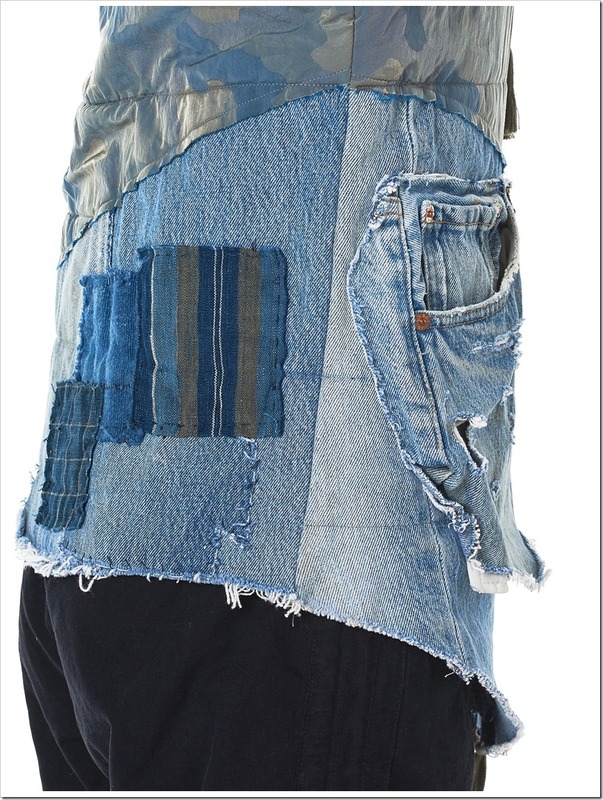 Basically a pieced together vest with elements from jeans, jackets, skirts etc. 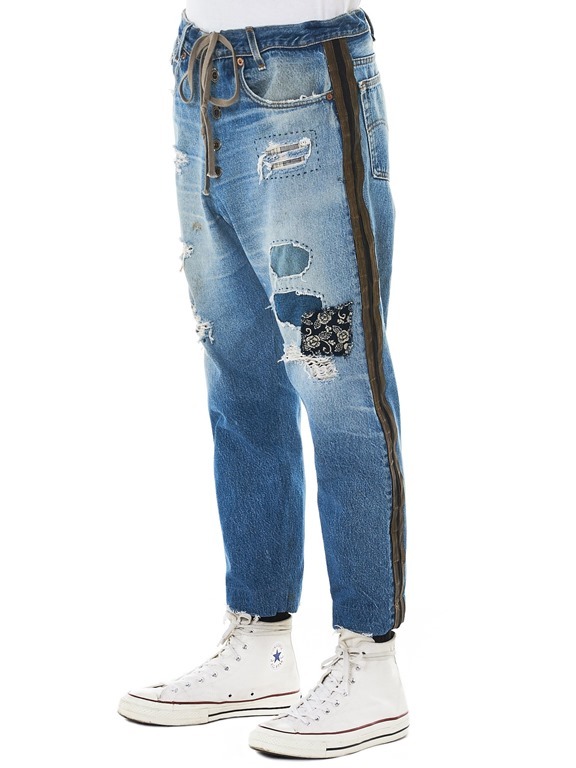 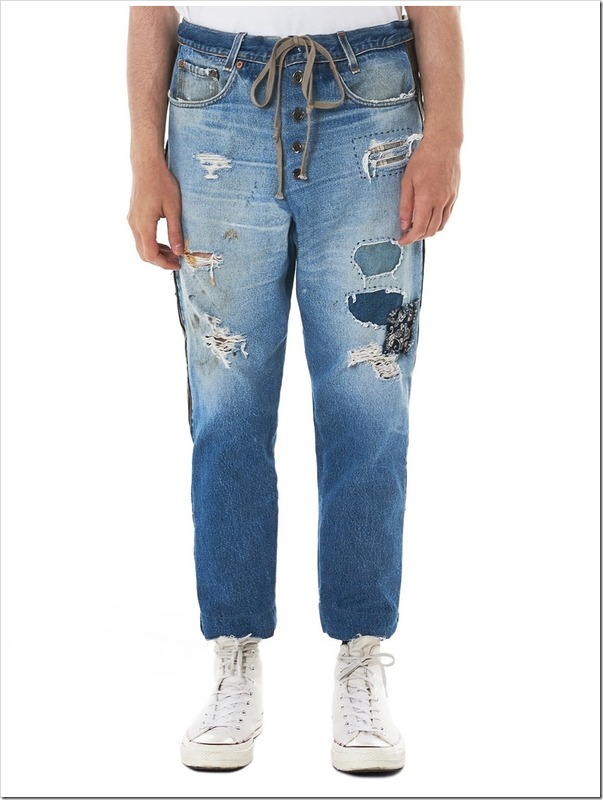 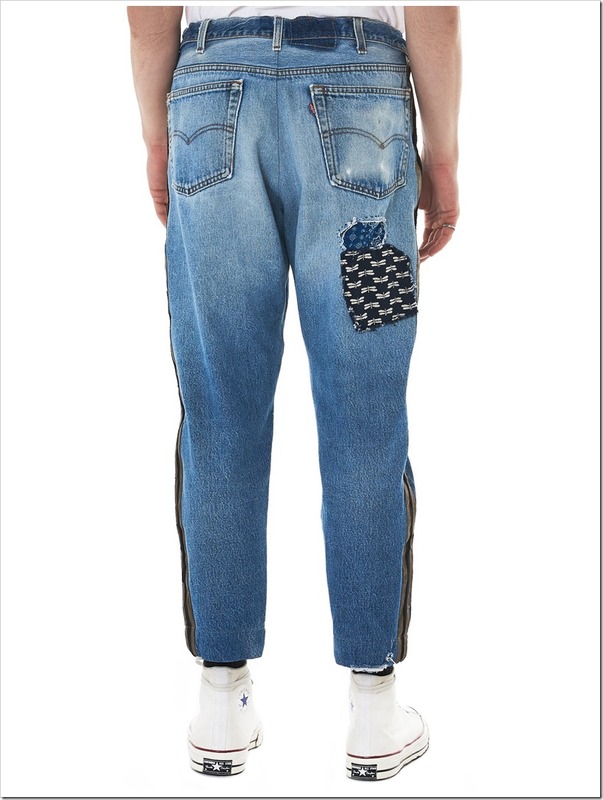 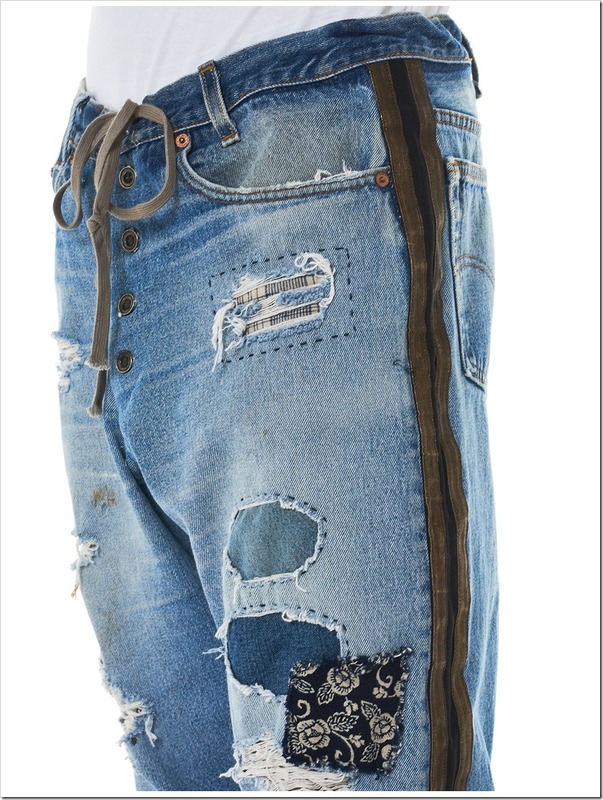 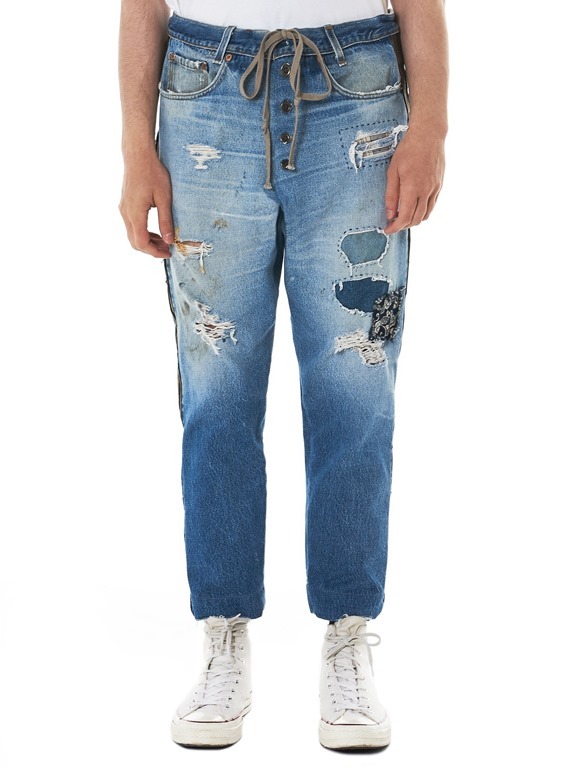 Greg Lauren vintage denim five-pocket patchwork pants in blue, cropped leg, waist drawstrings, front button closure, distressing at front and back, contrast-color striped taping at sides, turn under bottom hem, contrast stitching. 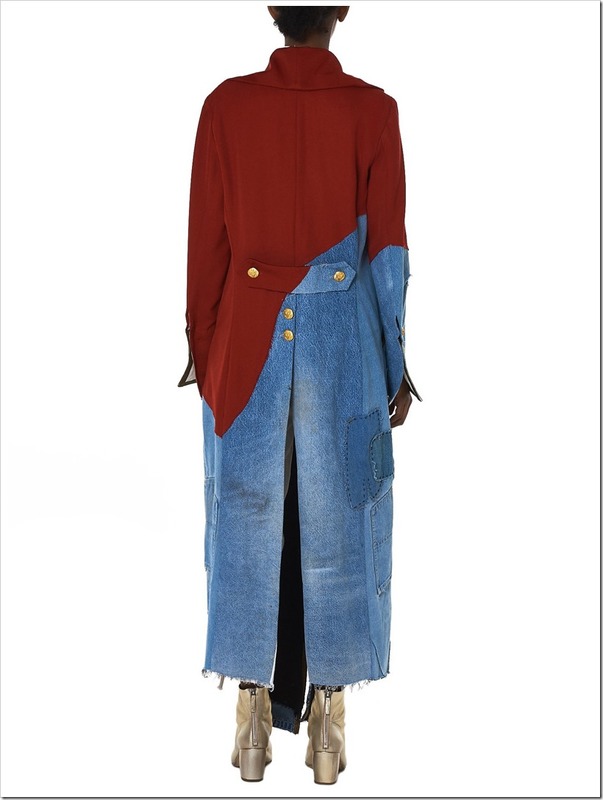 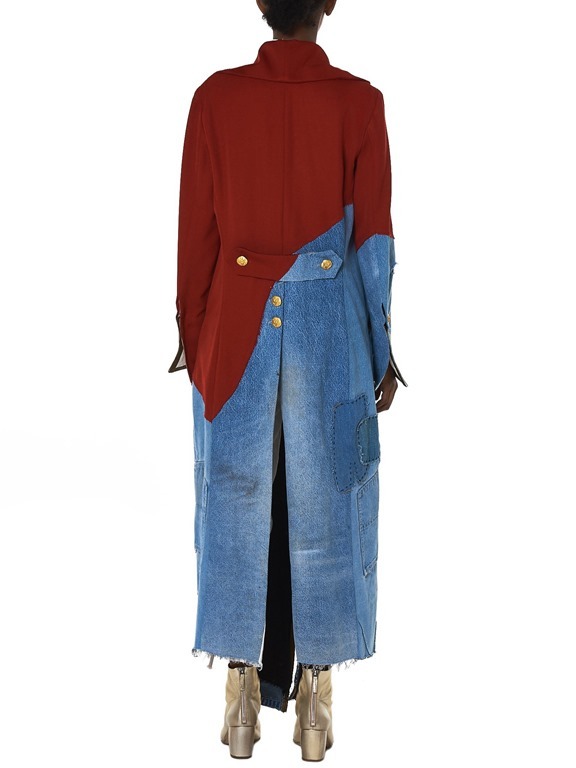 Greg Lauren relaxed-fit reconstructed 50/50 vintage denim “revolutionary” coat in red and blue, notched lapel with contrast-color lining, gold collar trim, engraved golden military button detailing, side patch pockets, denim-repaired patching throughout, high rear vent, raw-edge rear hem, asymmetric cutoff front hem, contrast stitching. 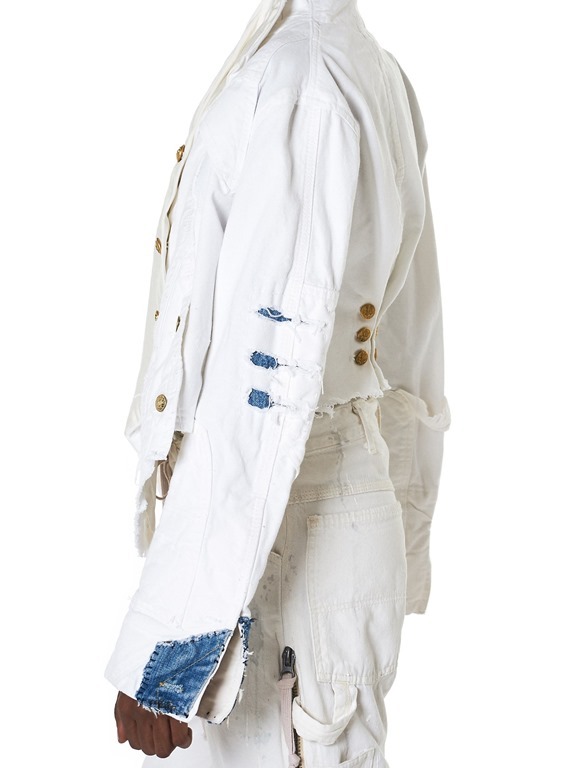 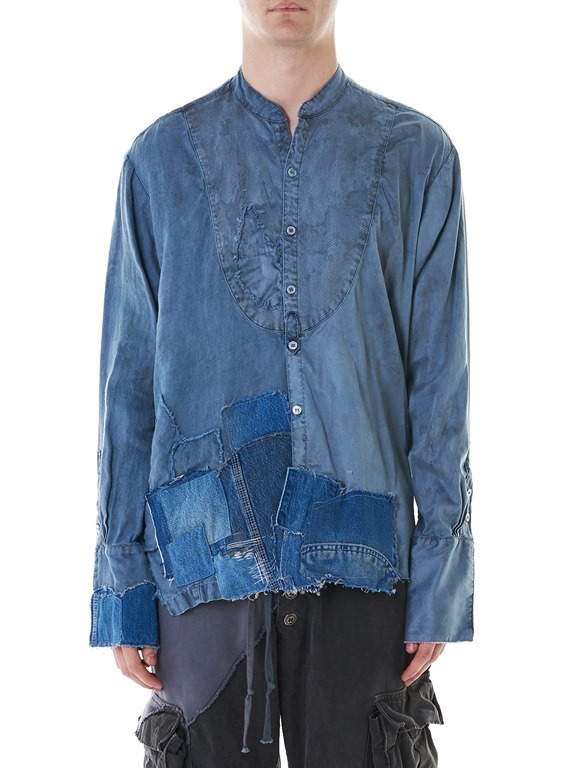 Greg Lauren button-down 50/50 assemblage shirt in ivory and indigo, homespun check pattern, repurposed vintage denim panel, band collar, front pouch pocket, elongated buttoned sleeves, straight hem, contrast stitching. 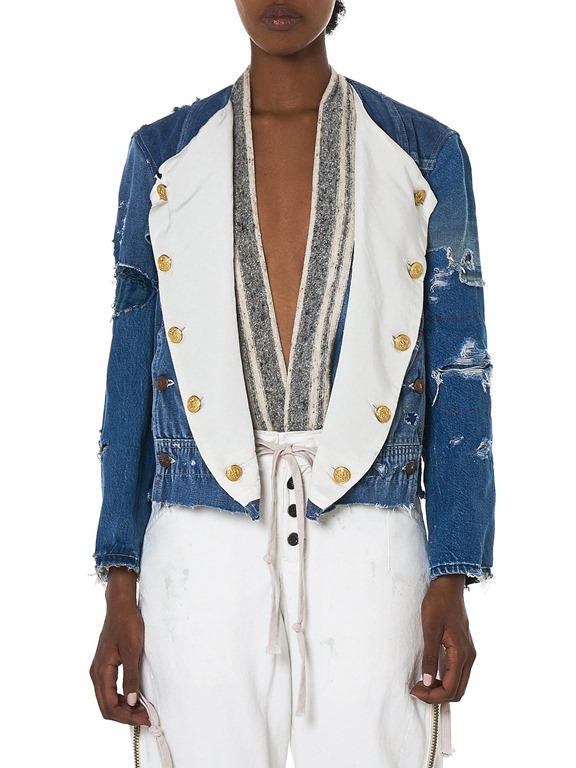 Greg Lauren tailored vintage denim trucker jacket in blue and ivory, engraved military buttoning detail in gold, shawl collar, patch-repaired distressing, straight hem, contrast stitching. 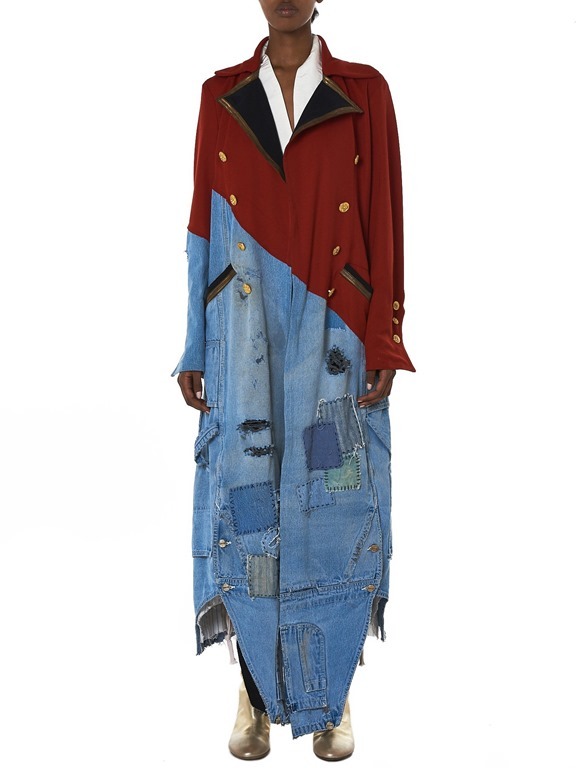 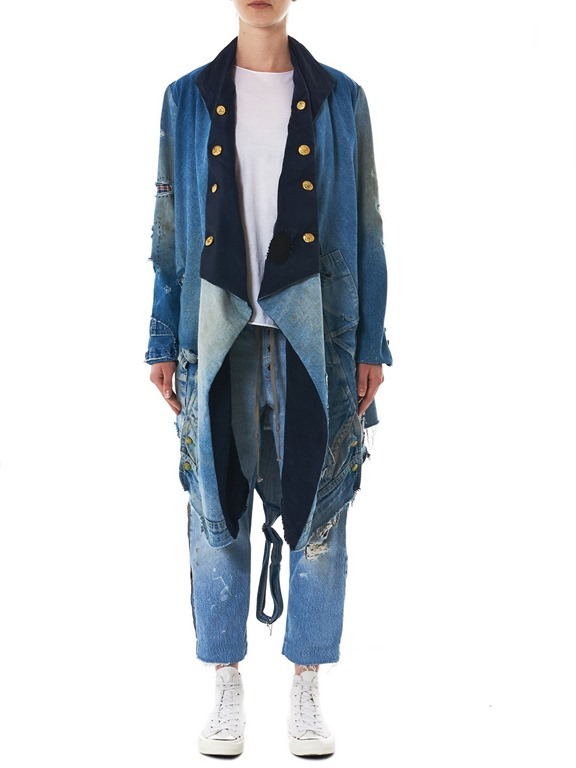 Greg Lauren reconstructed assemblage nomad coat in navy and indigo, repurposed denim panelling, subtle partial distressing, silk shawl collar with engraved steel military buttons, buttoned gathered back, patterned patch appliqué at lower sides, stripe-lined side welt pockets, peaked hem, tonal stitching etc. 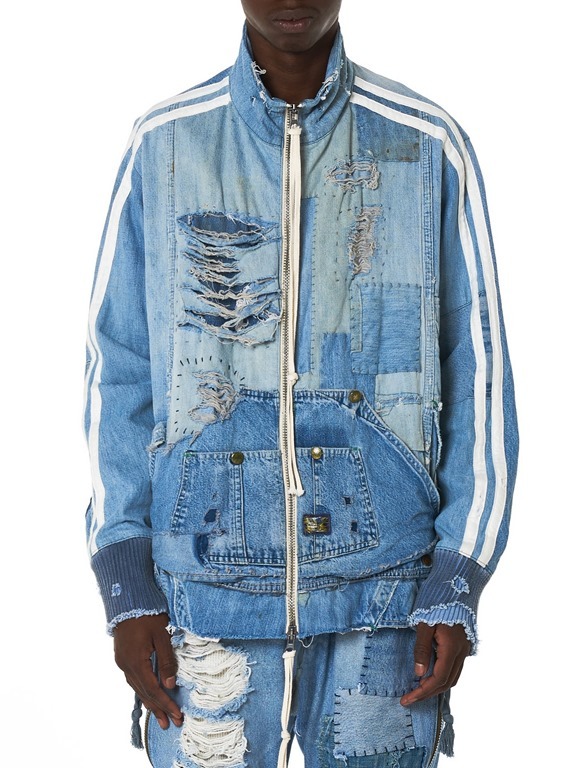 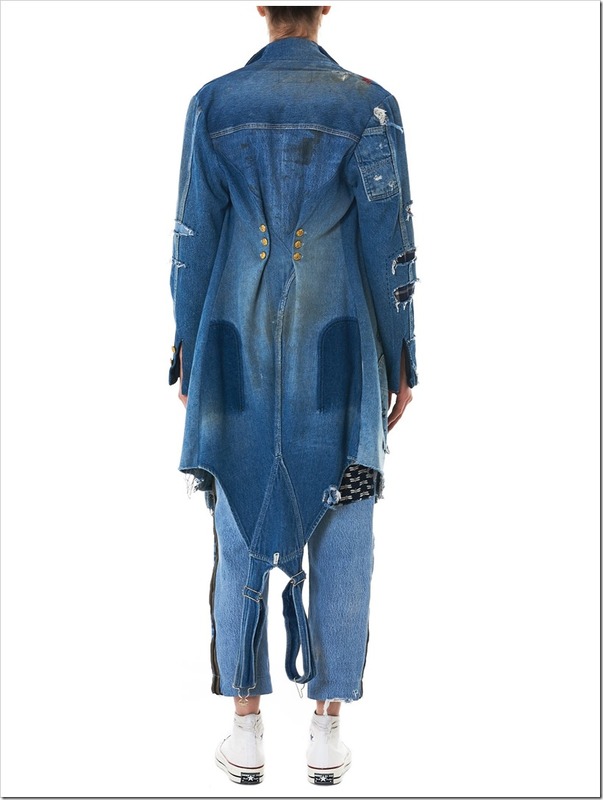 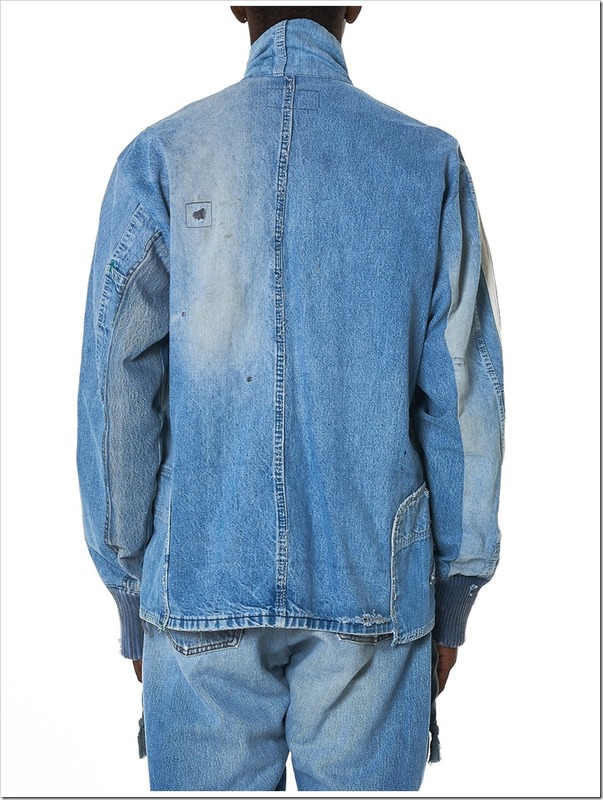 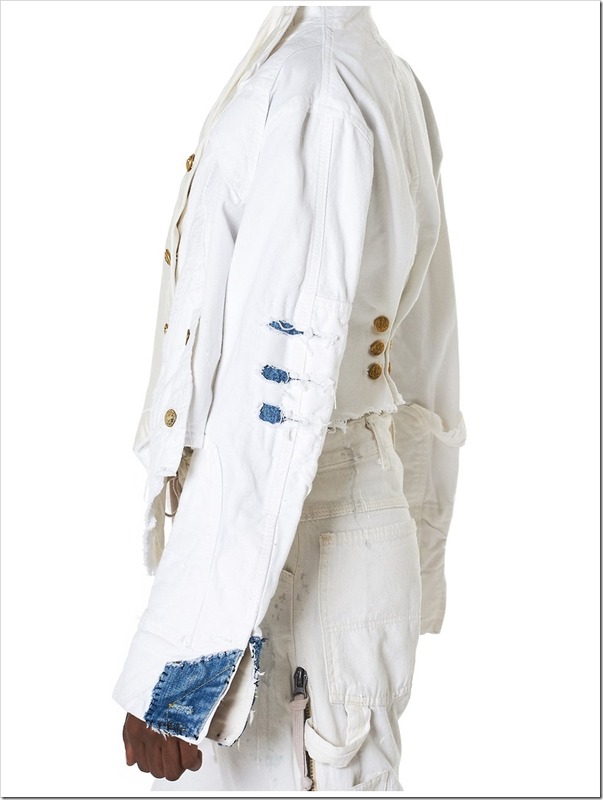 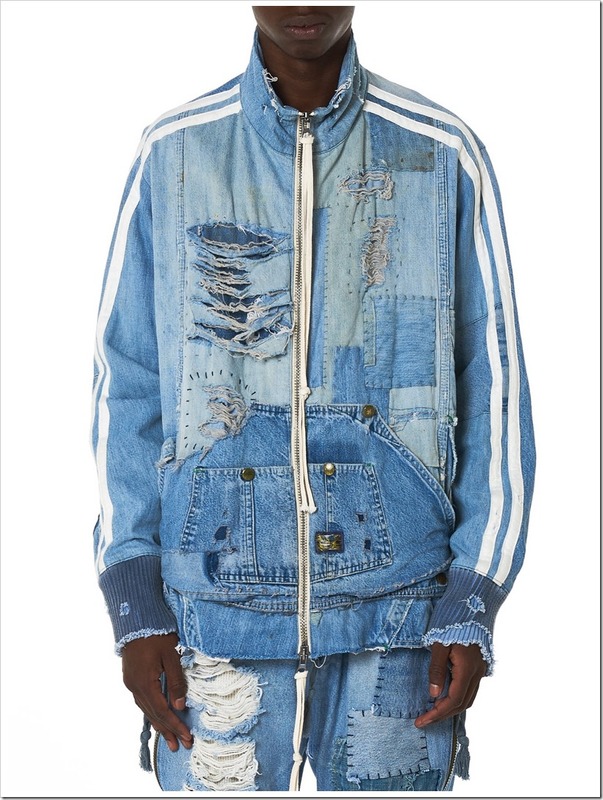 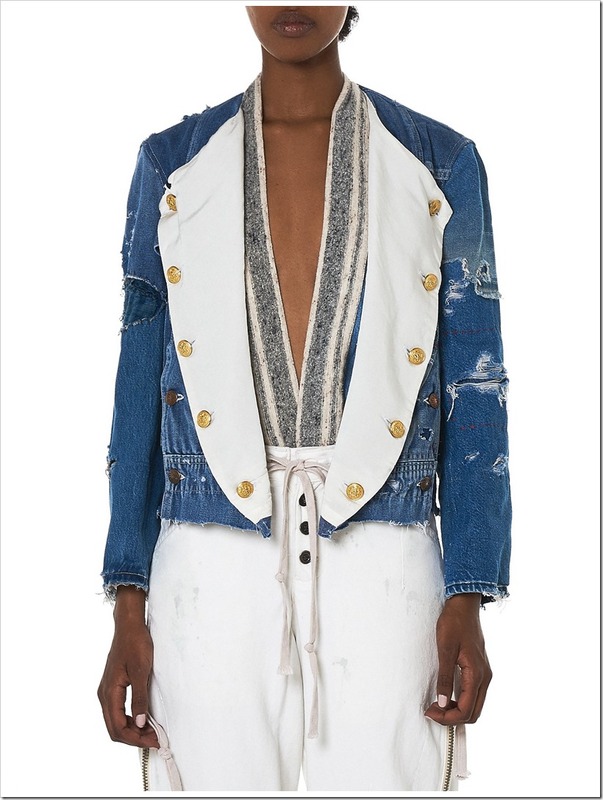 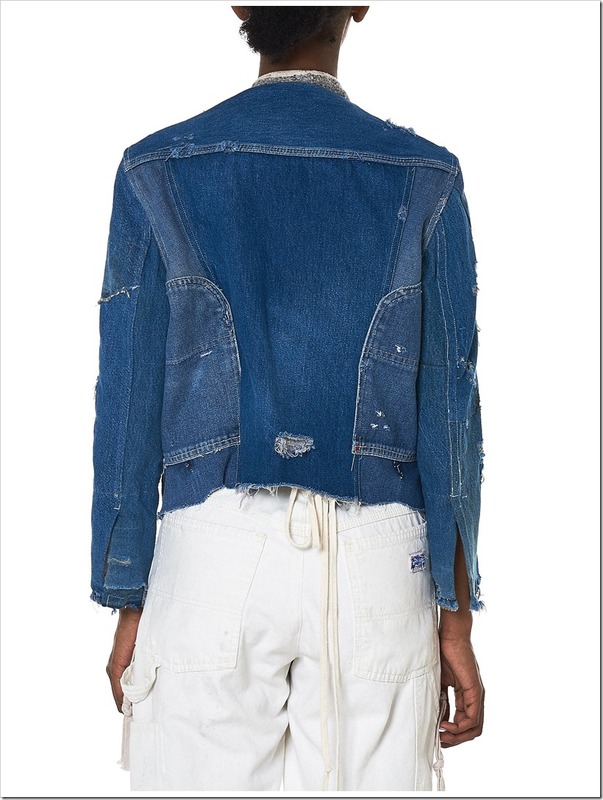 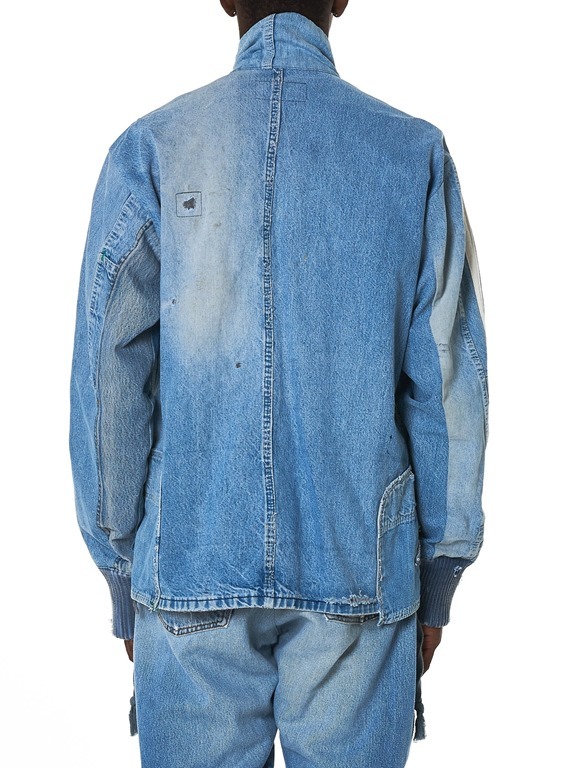 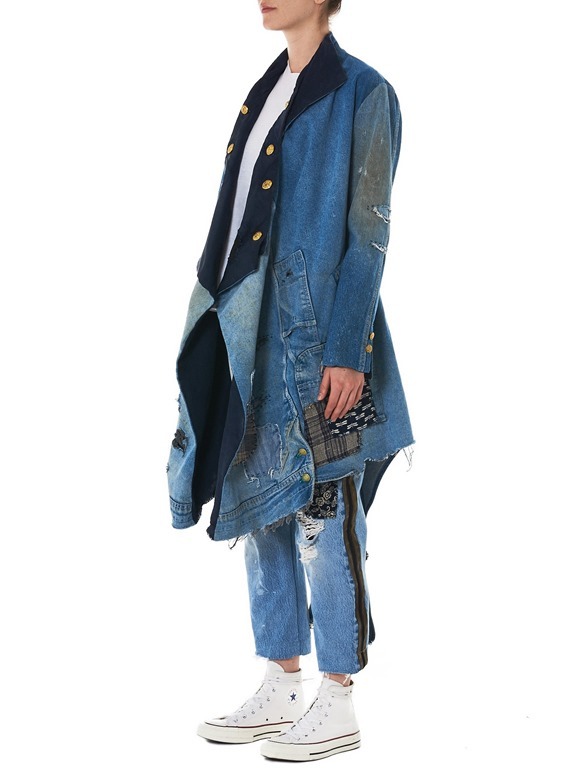 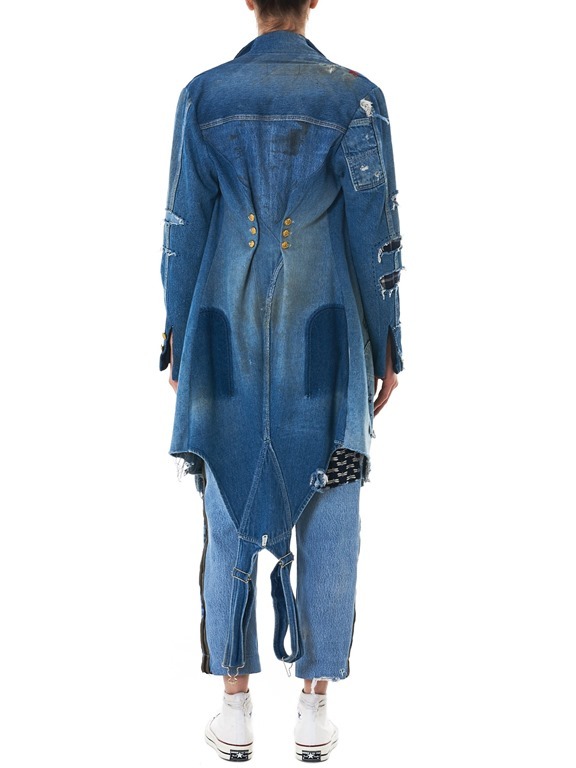 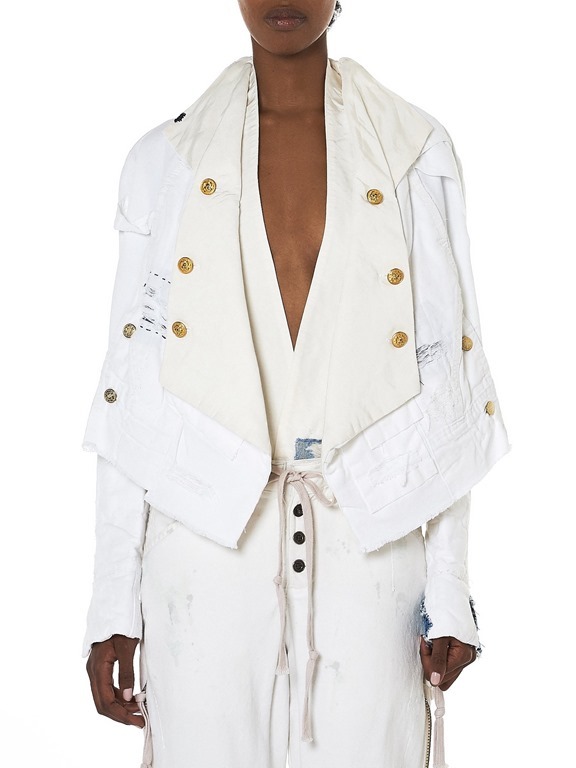 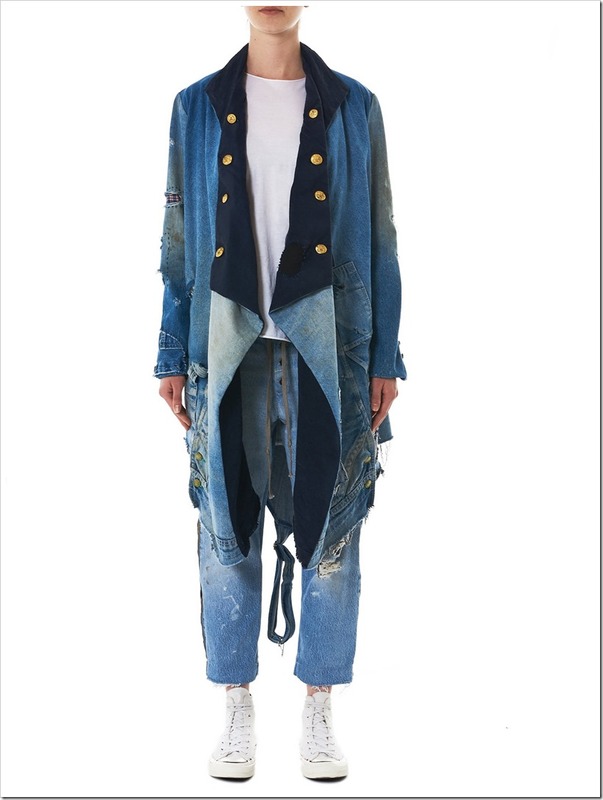 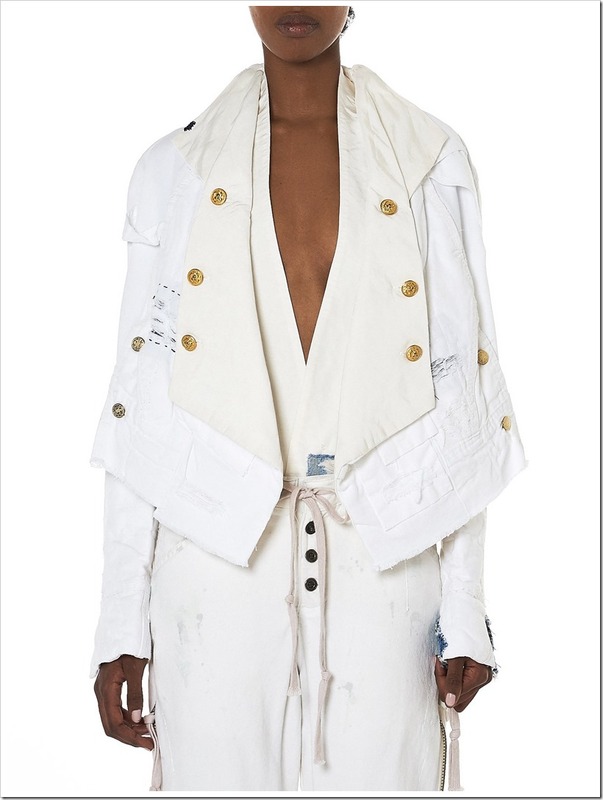 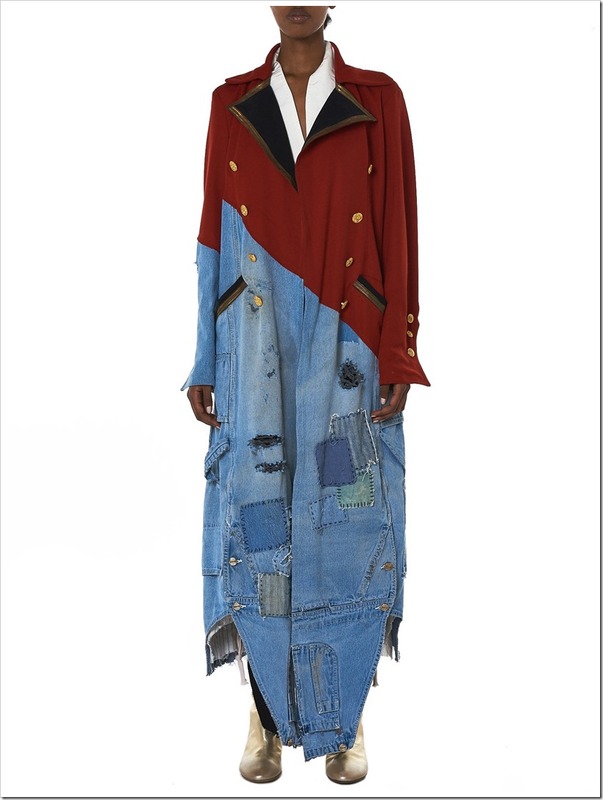 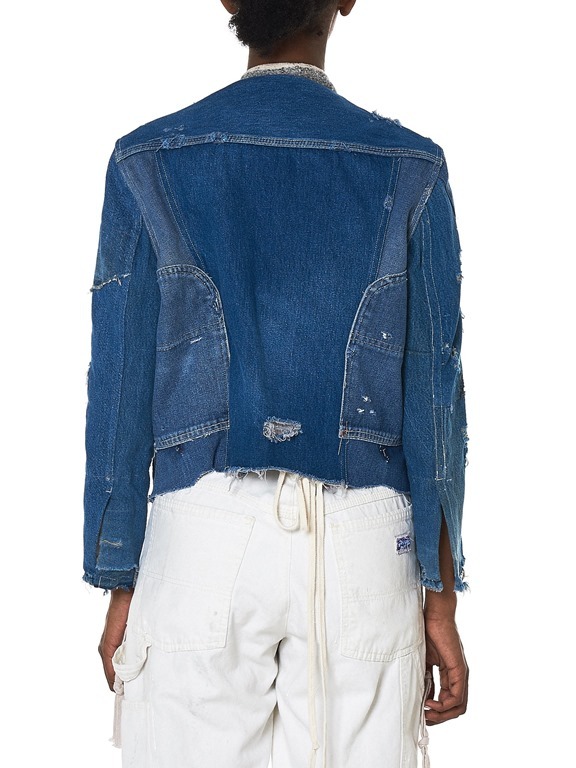 Greg Lauren relaxed-fit repurposed vintage denim patchwork track jacket in indigo, frayed distressing throughout, choker collar, roped two-way zip closure, twin striping detail in ivory, front pouch pocket, rib-knit trim, raw-edge bottom hem, contrast stitching.